It began over pizza and beer, just like many expeditions before it. We all sat there, poring over topographic maps, tracing steps to come, completely mesmerized by the uncertainty of it all. This was the first of many miscalculations to come. You see, we needed knee-high rubber boots to protect us from the snakes. ‘Snakes?’ Yes, snakes. This was the jungle after all, and we were going in search of untouched civilizations, so naturally, there’d be terrifying spiders, ferocious ants, and of course, slithering snakes. 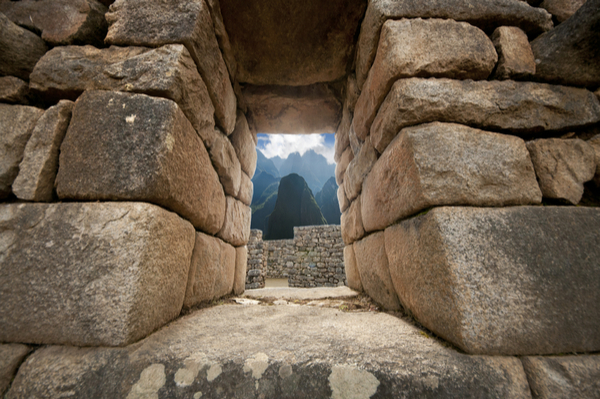 The plan was to deeply discover Peru and recount our experiences to fellow Globetroopers, so when they next visited Peru, they wouldn’t limit themselves to Machu Picchu, like so many others do. 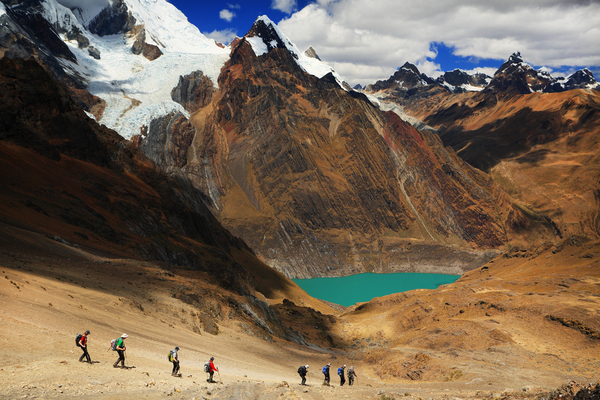 We were now on a mission, an epic search for untouched civilizations in Peru. And in the end, we all got much more than we bargained for. The more I have traveled, and the more I have joined guided tours, the more I have questioned why tour operators drill local history into travelers. Instead of visiting one or two historic sites, they construct itineraries that visit five or 10 sites. Or instead of cycling for one or two days, they cycle for 10 or 15 days. If most tours are designed for enjoyment, what makes tour operators think repetition is the answer? Why not mix it up? Our tour guide, Anibal from Peru Cycling gave this trip a lot of thought, especially in light of typical Peruvian tours. 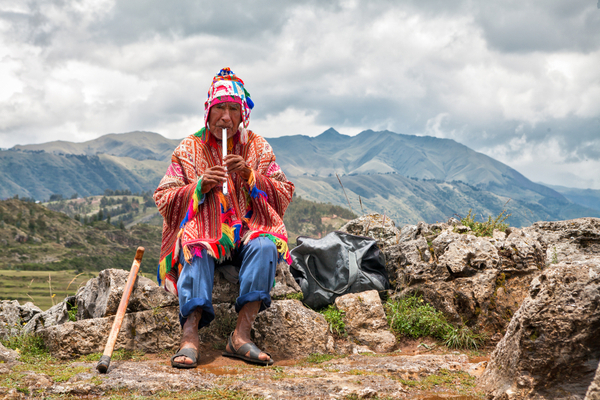 He wanted us to sample the best of Peru, but he also wondered why he had to build a custom trip to ‘show us the real Peru’? 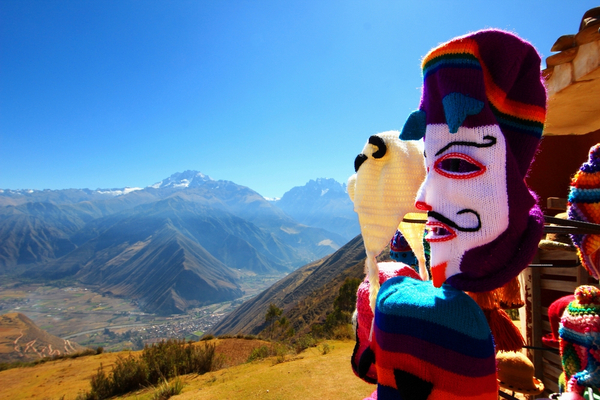 Doesn’t everyone want to see the real Peru? Shouldn’t a trip like this be standard? I always imagined that ‘experiential travel’ should involve a wide range of experiences, the same way color television involves a wide range of colors. Not just the same activities, day after day, but vastly different experiences that give you a solid introduction to a foreign country. Despite our first night talking about the jungle, snakes, and requirement for boots, the next morning we were on a completely different mission. We left early to shop for notebooks and pens to donate to the remote schools and villages that we planned to visit along the way. So in less than 24 hours, we went from a mindset of extreme adventure to one of philanthropy, cultural immersion and helping children. It had started already, and we hadn’t even left. We weren’t just mixing different types of adventure on this trip, we were mixing whole travel themes: adventure, cultural immersion, philanthropy, and exploration. I recently wrote that I believe ‘adventure travel’ is all about mental stimulation, rather than physical exertion. Well, on this trip, I really got to test that theory. What I found is that as soon as the adventure became known or expected or predictable, it lost its sheen. It became arduous even. With that in mind, the great thing about this epic expedition was that we tested many types of adventure and loved almost every minute of it. Again, I wondered why more guided tours aren’t like this. So what did we actually get up to? Keep in mind, this was all done in three-to-four days, across many different landscapes and climates. On Day 2, we started cycling at over 4,000m, on the verge of frostbite, and only a few hours later we’d descended close to the jungle into hot, humid weather. We were experiencing and learning about Peru on so many levels. You might be thinking, what happened to the snakes and spiders and long rubber boots? Well, by now we’d forgotten about it; we were simply having too much fun sampling so many adventures. We’d just had another session of exciting downhill riding, this time with a local we picked up in a small town called Quelluno. As we got further from civilization, our original guides felt the need to leverage local knowledge, which is why we picked him up. By now, we were transitioning from adventure to cultural immersion. There were no more hot showers, no more modern eateries, no more hostels; it was just us, the villagers, and a new local team member. This is also where ‘travel’ transitioned to ‘expedition’. We turned one more corner on the bikes, then Ider exclaimed, ‘That’s the end of the road. Let’s have lunch, wash the bikes, and load them up.’ The pure, unadulterated fun was officially over, but the journey had only just begun. From here, we would slowly etch our way deep into the jungle in search of native civilizations. This was a new chapter, but essentially the same trip. The last fellow foreigners were hundreds of kilometers behind us, and little did we know, we were closing in on villages that had never received caucasian visitors. Now that’s what I call cultural immersion. During the initial discussion over pizza and beer, Lauren asked whether we’d be taking gifts for the schools and children. Anibal queried Luis and it was decided on the spot: if we planned to encroach upon people who may not want to be encroached upon, the least would do was bring supplies for the children. As we ran out of official places to sleep, we arrived at our first scheduled stop: a remote school in a town called Yavero. There were three classrooms, two full of children, and it was here we delivered most of the supplies. We really felt out of place, especially not being able to communicate in a common language, but I realized quickly that it was selfish to dwell on that. No matter what our motives, this was an opportunity for the children and it wasn’t time to be bashful. So Lauren and I got into the swing of it, forced out some Spanish, got in amongst the crowd of children, played around until the swarming got out of control (I almost hit the pavement), and sat back while a few of them sang and danced for us. It really was magical. The adventure part of this trip was by far the most fun, and the cultural immersion was by far the more interesting, but… the philanthropy was the most fulfilling. Not for reasons you’re thinking either. It had less to do with self-congratulations, and much more to do with spending time with children of that age. They looked at us without a hint of judgment and with bucket loads of curiosity. I hope they got the same feeling from us. Most travelers never get to taste true exploration. The type that involves an objective, a team, and a set of maps. In real exploration, there’s no guiding, there’s just teamwork. So even over pizza and beer, there’s no certainty or predictability, just a feeling of camaraderie and common purpose. It’s actually quite electric, and let me tell you, when you end up in the jungle (or wherever) knowing that there’s no guide, no prior experience, just you, your backpack and many decisions that will decide your course, well, the highs are much higher and the lows are much lower. After leaving the school and driving for half a day, we finally reached the end of the road. Previously, I was really looking forward to this part, but on the day, I was anxious. Although this last village couldn’t really help us if we got into serious trouble, at least we had a car. But now, we were trekking for who-knows-how-many-hours away from our only real security blanket (the car), into the thick, intimidating jungle. Now, it was just our small team, our boots, and the snakes. Woohoo! I spoke earlier about miscalculations… Well, when a couple of local brothers told us it was a 3.5-hour trek to our target village, we should have verified3.5-hour claim. We left just after midday, but after six hours, the sun dropped and the jungle quickly darkened. At this point, we couldn’t even have imagined trekking for another two hours, but that’s exactly what we’d have to do. The terrain was already very difficult, the creepy crawlies were out in full force, the waterfall crossings increased, it was now nearing complete darkness, and it was just me, Lauren, a mule, and two natives. I’m not suggesting that all experiential travel should involve being lost in a jungle at night, I’m saying that the possibility of such danger (or adventure, depending on your perspective) is what creates a whole different theme of travel. Unfortunately for us, the possibility became reality but forgetting that it’s that feeling of a team with a common purpose making new discoveries that I think will spawn a particular new type of mainstream travel. And essentially, that’s what Anibal, Luis, and Ider achieved with this trip. This wasn’t as long or extreme or as arduous as a Himalayan or Polar expedition; this was still a tour, but it contained components that are usually out of reach for most travelers. And this combination, in the right amounts, really did make the perfect trip. When we arrived back in Peru, we convened for a debriefing. This time at a local eatery, not over pizza and beer. We all agreed that we’d discovered something special; a type of travel that overloads all of the senses and engraves itself in your mind as something that can’t be repeated. And we agreed that this wasn’t at all serendipitous; the itinerary, as loose as it was, was always going to produce this result because it mixed all the major themes of travel (except maybe ‘rest and relaxation’), and most importantly, it involved a genuine expedition to explore something completely unknown to all of us. The guys at Peru Cycling are making this a reality for all Globetroopers. If you’re already planning to travel to Peru and want to experience something raw and unique, get in touch with Anibal at this address: info@cicloturismoperu.com. 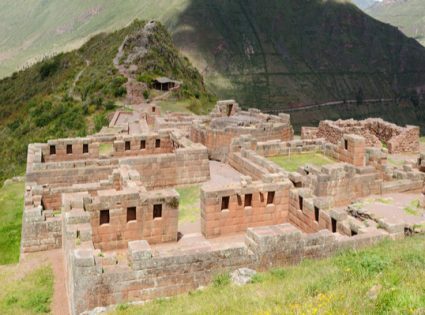 And if you’re not planning to travel to Peru, then change your plans now; it really will introduce you to a new way of traveling and a country with immeasurable beauty and contrasts. Sure we spent hours trekking through the jungle in the dark, but thankfully the snakes respected our predicament and gave us some breathing room. I can’t say the same for the spiders though. When we finally arrived at the village after 8 hours of trekking in the dense jungle, the only place to sleep was in an open-air hut. We were wary at first, but through sheer exhaustion put our heads down to sleep, still in full trekking gear. Lauren suddenly popped up and said she saw something ‘odd’. Of course, it was the biggest, hairiest, nastiest tarantula I’ve ever seen, only centimeters from where my head was laying and now running towards me at lightning speed. ‘Ok, there’s no way I’m sleeping here.’ I can’t really explain the feeling, but basically, I was about to collapse from exhaustion, but the thought of a tarantula on my face kept me upright. Thankfully (I’ve never felt such relief), the local doctor allowed us to sleep in the medical center. Still, open air, but raised off the ground and seemingly sans spiders. I’ll tell you now, the jungle really is an inhospitable place, which makes it all the better to explore.